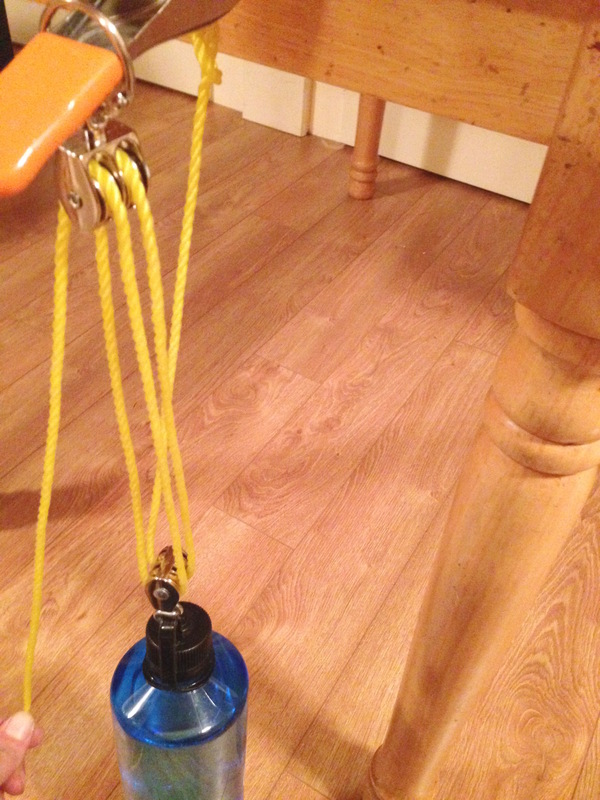 Use small pulleys to pull up a water bottle, and feel the difference in force with different numbers of pulleys and loops of rope. Set up the pulley system as shown, first with just one pulley at table height - the rope passes from the weight and through the pulley only. Feel the force that it takes to pull the weight up. 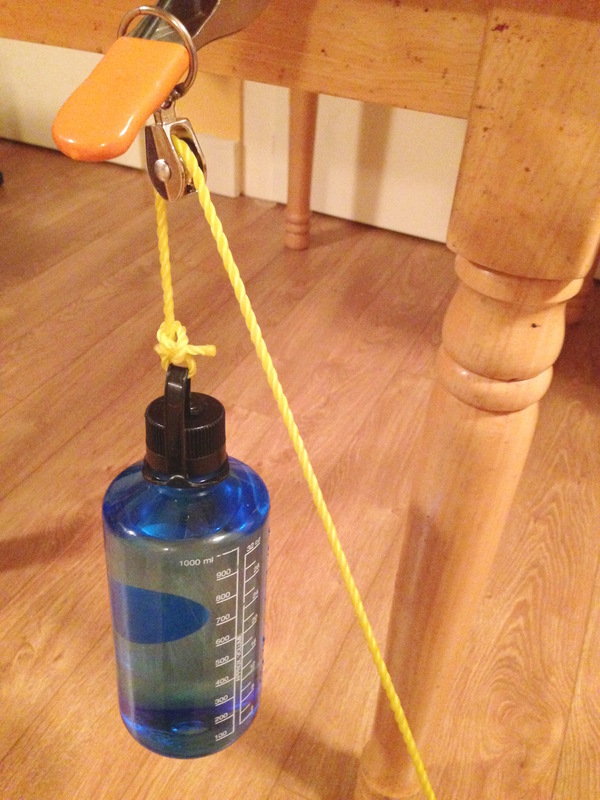 Then add a pulley to the water bottle. 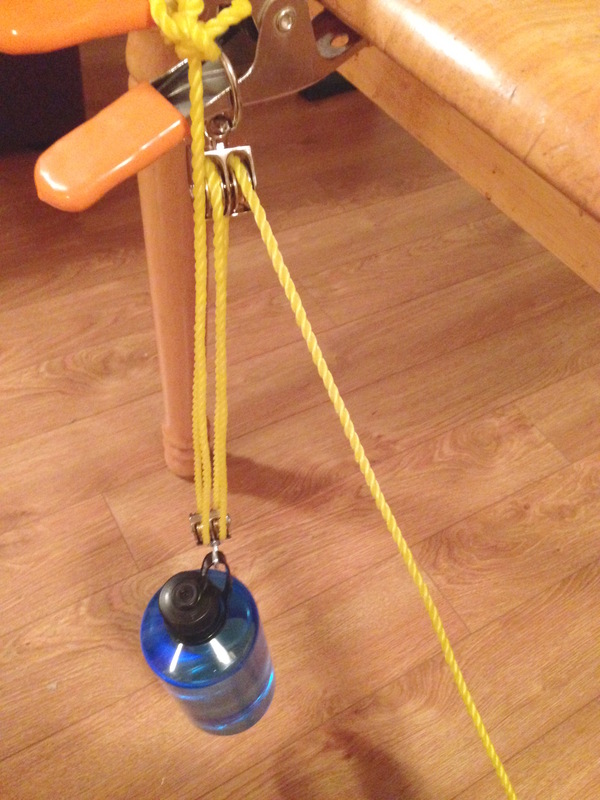 Pass the rope back and forth between the fixed pulley at the top and the moveable pulley at the bottom, so that four rope lengths are holding up the bottle. Feel the force needed to lift the water bottle, and compare to the single pulley system previously done. As more lengths of rope are pulling the weight up, the force needed to pull the rope is less. With four ropes pulling up the weight, the force required should be a fourth. But in exchange, more rope will have to be pulled through (less force over a greater distance, compared to more force over less distance with just one pulley).